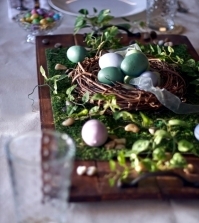 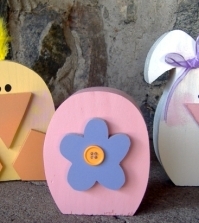 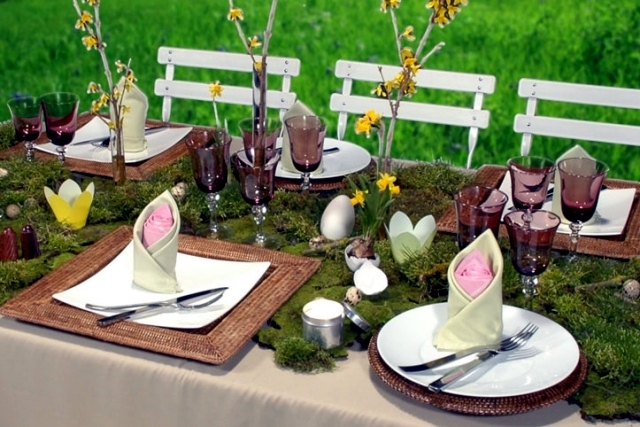 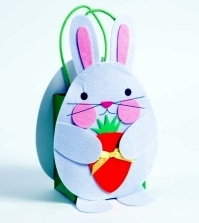 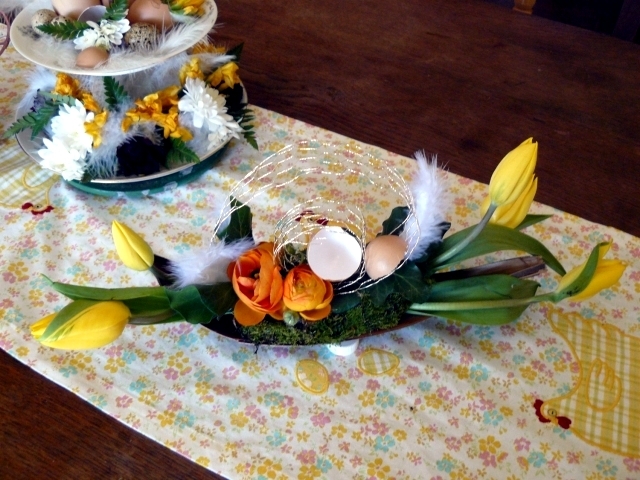 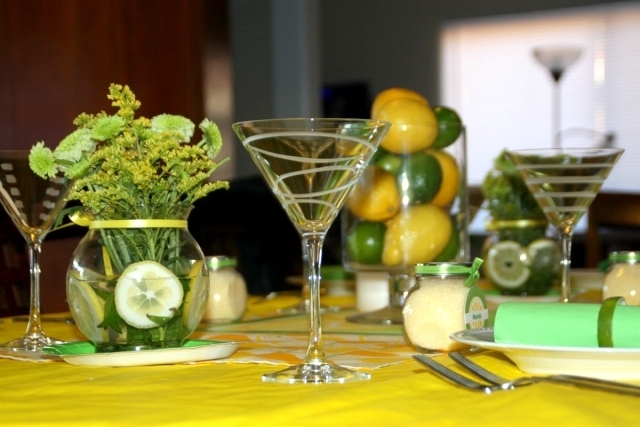 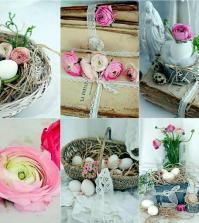 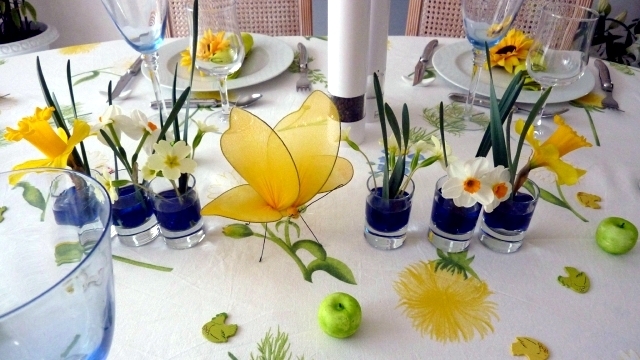 Table decoration for Easter should be called the house of spring. 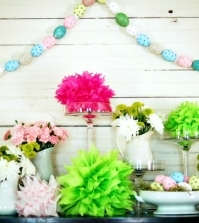 Top with fresh flowers and bright colors. 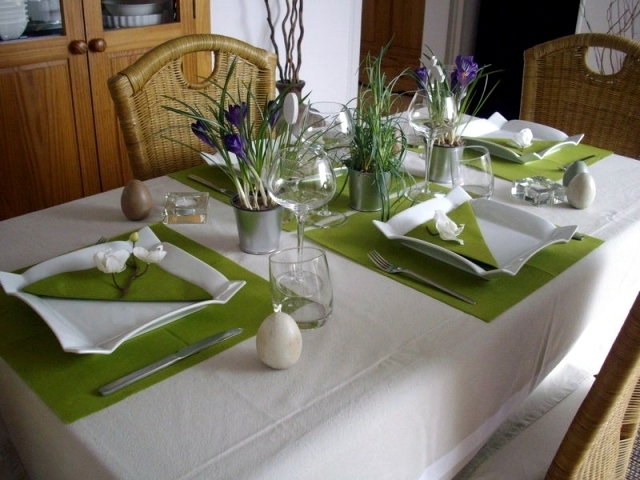 And what better than the classic Farbduo yellow and green? 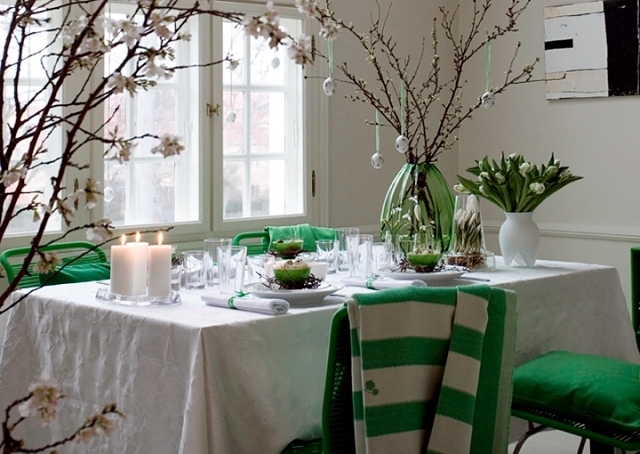 Green stands for the rebirth of nature after the long winter. 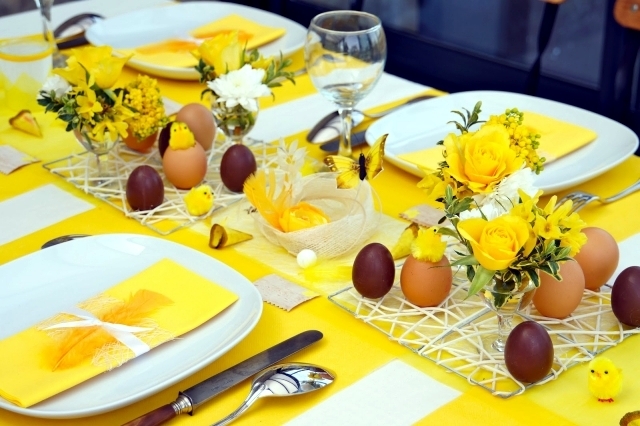 Yellow - the sun starts to become more frequent to appear. 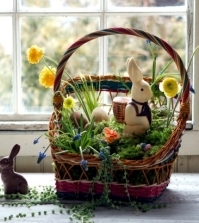 With its warm rays of flowers of the plant world and gives us the first daffodil, crocus and hyacinths. 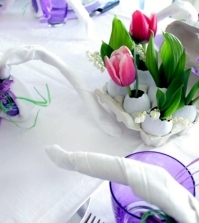 This cheerful colors can be beautiful with white, red and purple, but if you limit yourself to only two, it would be even better. 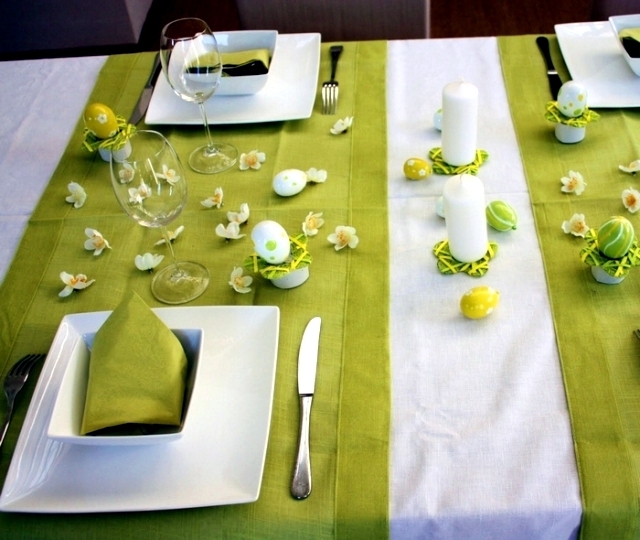 You can count on green and yellow colors in various shades. 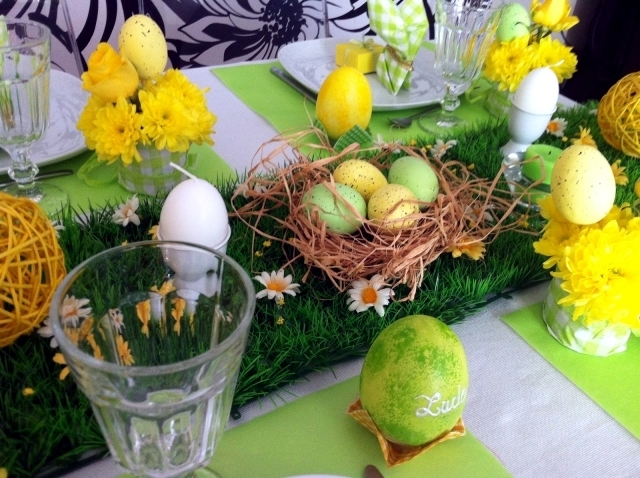 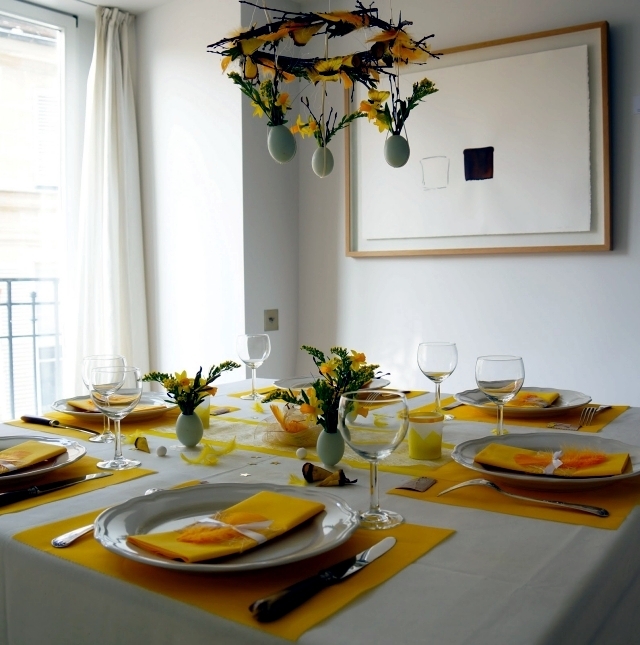 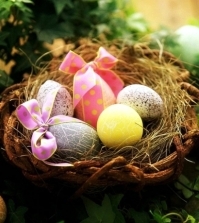 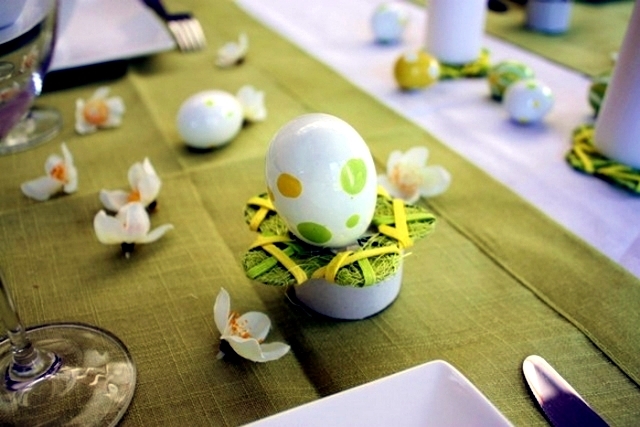 The painted eggs are not only bright accents on the table. 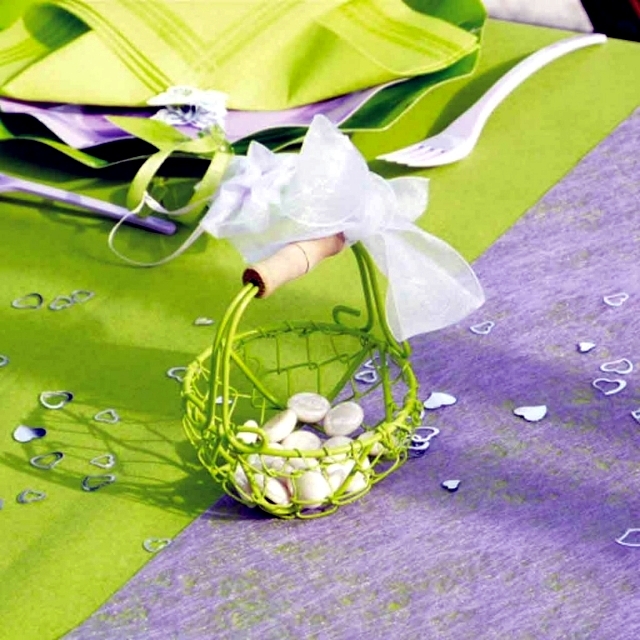 Select tablecloths, plates, decorative ribbons, towels and documents that match the color choices. 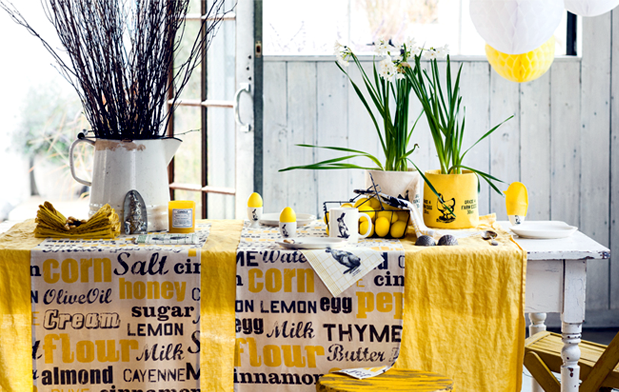 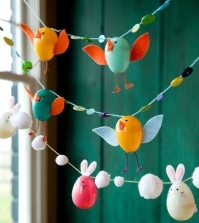 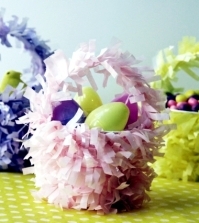 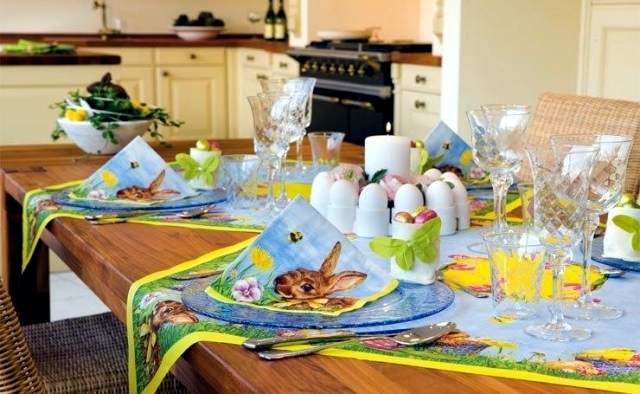 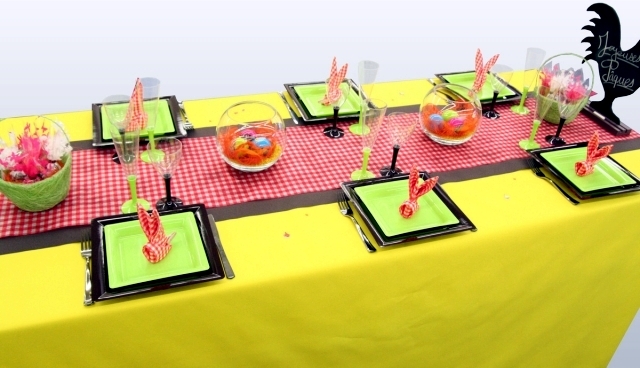 Another eye-catcher on Easter table runner can be a Decorationgras are placed on the yellow Easter eggs. 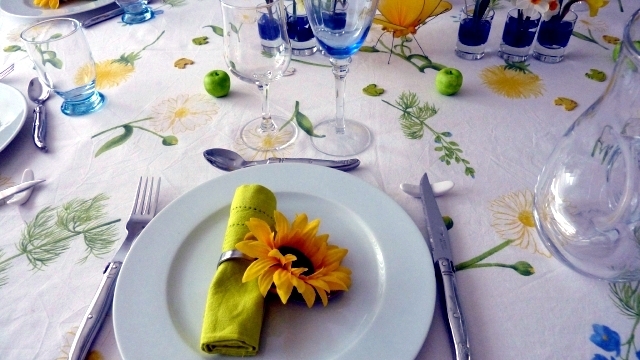 Scatter daisies or even cherry blossoms on a green table mat. 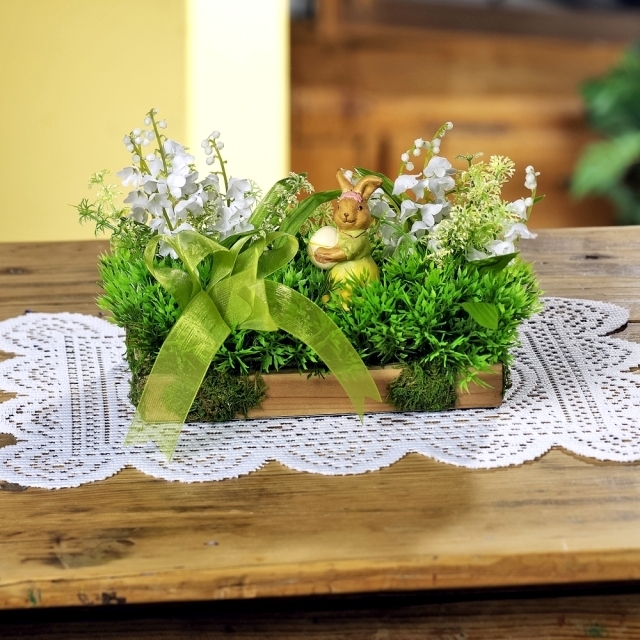 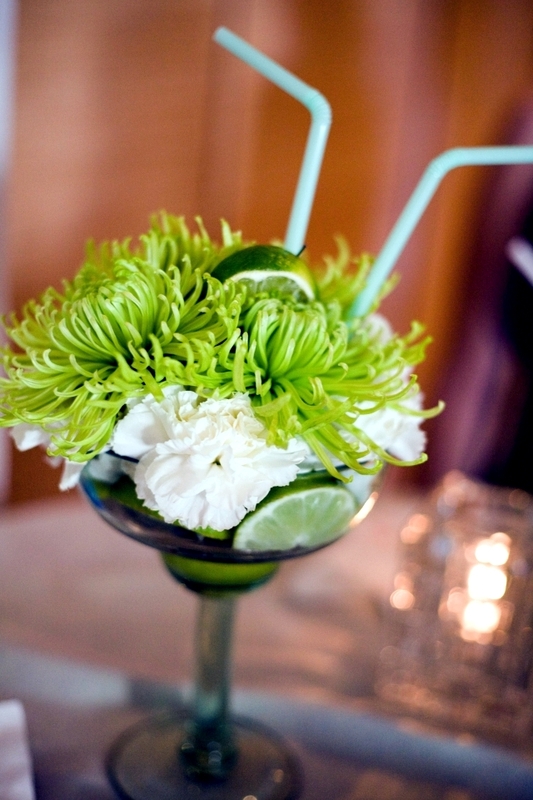 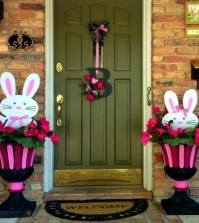 You can make beautiful floral bouquets of spring flowers or green plants and compositions. 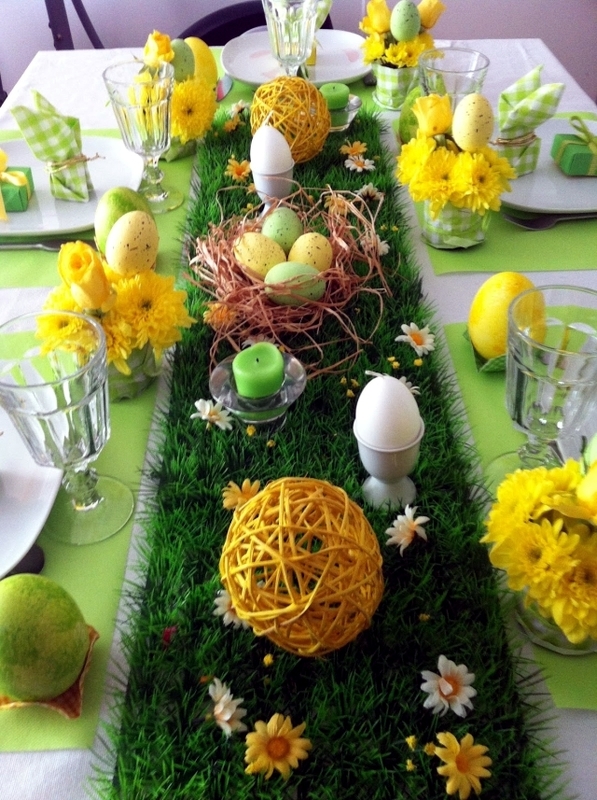 Daffodil, yellow roses, yellow tulips and green chrysanthemums are popular for Easter and it fits perfectly with our theme in green and yellow. 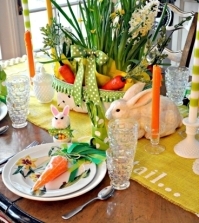 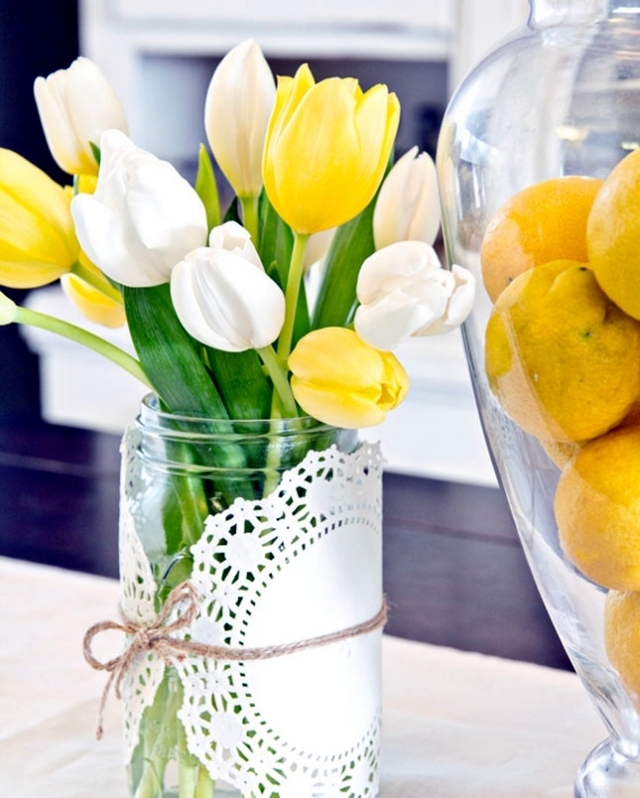 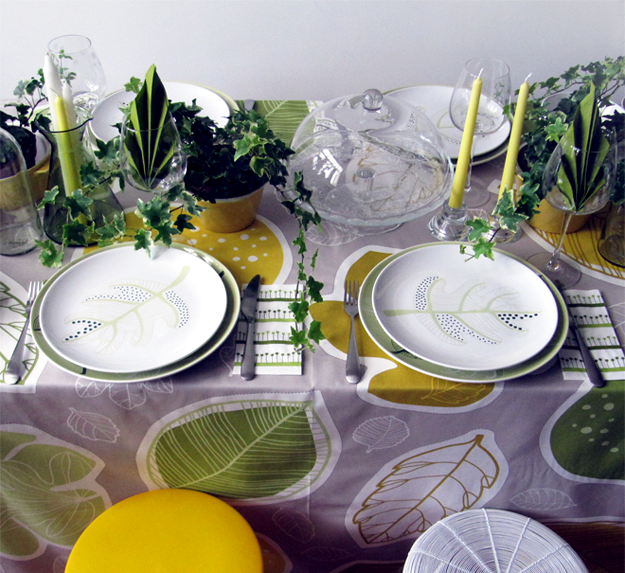 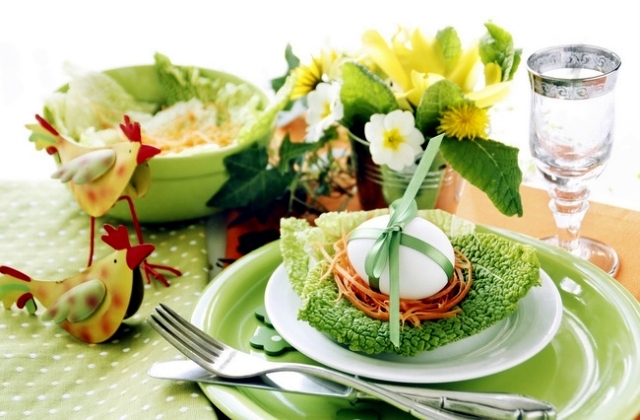 forsythia branches in a green glass vase would complement our most beautiful Easter table decoration.